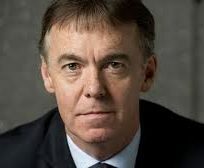 Sky’s CEO Jeremy Darroch was paid more than £16 million (€17.9m) in the year to the end of June, despite the fall in annual profits in the UK business. Darroch’s total remuneration almost quadrupled year-on-year, from £4.6 million in 2016 to £16.3 million last year, thanks to a pay-out of £12 million under Sky’s long-term incentive plan. The scheme, which vests every two years, paid him a more modest £4.7 million in 2015. He also got a almost maximum bonus of £1.9 million, 186 per cent of a potential 200 per cent of his £1.04 million annual salary. The payouts came as Sky’s total operating profits fell 6 per cent to £1.47 billion for the year. The UK, which accounted for £1.3 billion of that, was down 14 per cent. Sky said it was an excellent performance given a one-off rise in the cost of its Premier League rights deal of £629 million and £51 million spent so far getting its mobile service up and running. Revenues across the group, which also has pay-TV operations in Germany, Italy and Austria, rose 10 per cent to £12.9 billion. Darroch cashed in £11.5 million in shares in July, and Andrew Griffith, Sky’s finance chief, sold £6.8 million.